Howes & Home - Plumber based in Shireoaks, Nottinghamshire. 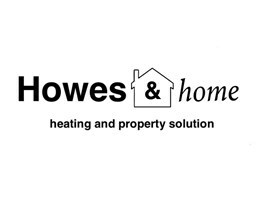 Howes & Home is a family run business with over 15 years’ experience in plumbing, heating and property services. Here at Howes & Home we take pride in our work. Our aim is to provide first class service to our customers. We work closely with you from concept to completion carrying out all the work ourselves saving you the hassle of using various trades’ people. We work closely with local suppliers to ensure you get the products suited to your needs. We are Gas Safe and HETAS registered. We are Vaillant Advance accredited installer which means we can offer extended guarantees up to 10 years on Vaillant products. We install, service and repair boilers, heaters, fires, cookers as well as all general household plumbing from a leaking tap repair to a luxury wetroom installation. We now offer complimentary 3d design on wetrooms and bathrooms to help you visualise your dream bathroom. From the free no obligations estimate to completion of the job we strive for complete customer satisfaction.